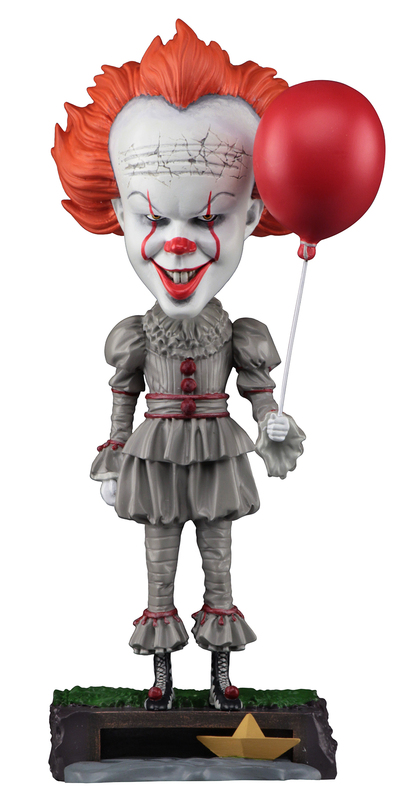 From the acclaimed 2017 horror film IT, drawn from the pages of Stephen King’s original novel, this Pennywise Head Knocker stands over 8” tall with bobbling head. The killer clown is cast in resin and then hand painted for chilling detail, down to the themed base. 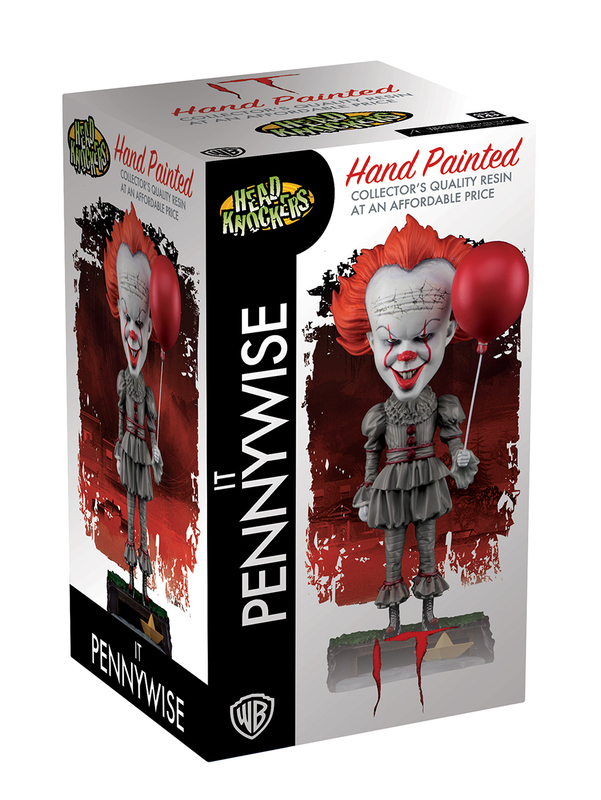 Comes in collectible matte finish packaging with spot gloss.